Cake! Cake for eating! 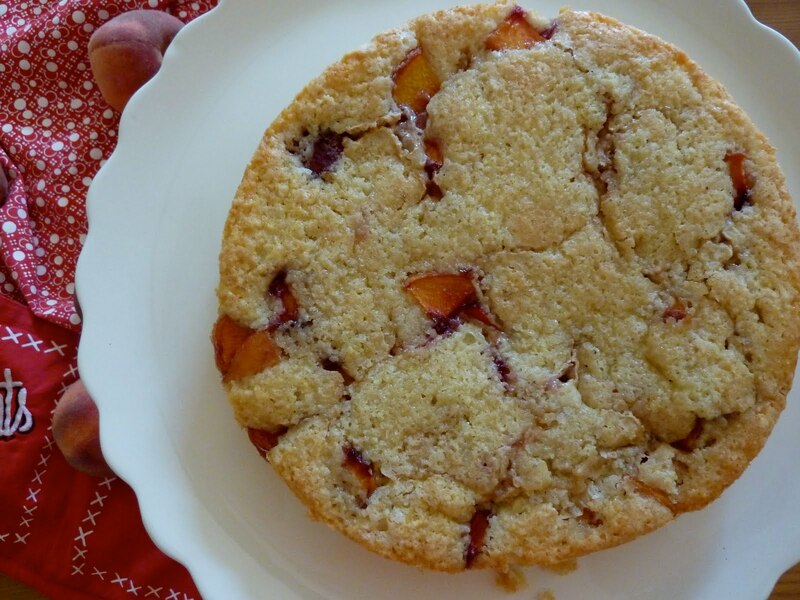 This beaut won the “best peach” recipe a year ago on Food52. Well, I had some peaches from the farmers market, and a hankering for cake, et voilà! (I don’t speak French. Not one bit. But I’ve been plowing through Agatha Christie novels (so fun!) and I’ve gathered from the delightful M. Hercule Poirot that you can end sentences with this phrase.) Anyway, this cake is another lovely, delicious and simple buttermilk cake. And it’s fun too, because you don’t have to peel the peaches, which I think we can all agree is a terrible use of our time. Props to the-sister-of-my-life for styling this cake. That chick’s all right! Eat your heart out, Sandra Lee! Also! I know you’ve probably seen this already, but I had this song in my head while making this cake, so watch it! It just screams simple summer peach cake! And also, drugs. Press the peaches into the top of the cake. They can be nicely arranged, but I like to cram as many peaches as possible into the cake. Sprinkle turbinado sugar over the top. Bake for 10 minutes, then reduce the oven heat to 325 degrees and bake for an additional 45 to 55 minutes, or until a toothpick in the center comes out clean. 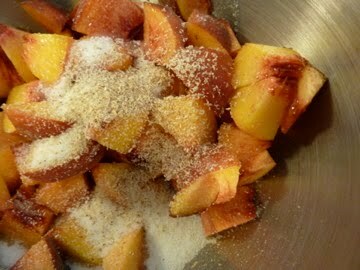 And because I like food, here’s a picture of my peaches after they’ve been dusted with sugar and freshly grated nutmeg. Hells yes. Beautiful dessert! Loved the video reminded me of Nick and made me laugh. haha! thanks ma! i'm sure he'll be happy to hear that!